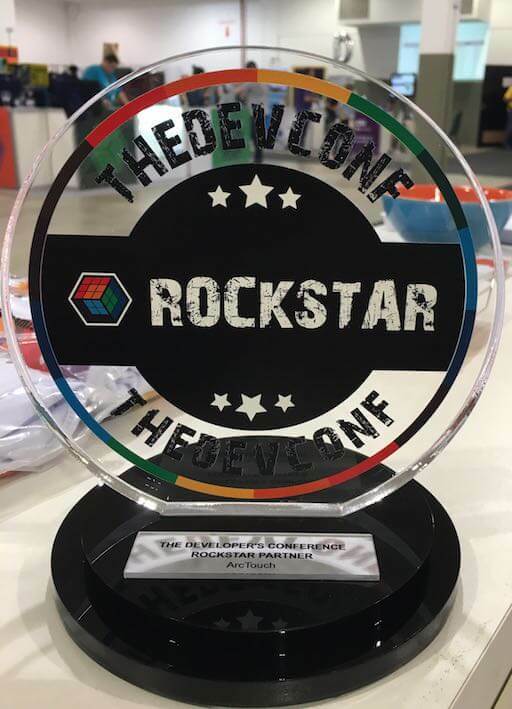 TDC, The Developer’s Conference, held annually in Florianópolis, Brazil, allows software and technology professionals in Brazil to connect, showcase their work and share their experiences. ArcTouch is proud to support and sponsor TDC. Come meet our team in person at TDC. We look forward to seeing you there. If you’re an experienced app designer, developer or QA tester, please see our available jobs in Brazil, or introduce yourself at TDC. ArcTouch is proud to have 11 presentations at TDC this year, across a broad range of topics, including iOS, Android, accessibility, blockchain, web, Azure services, and diversity. 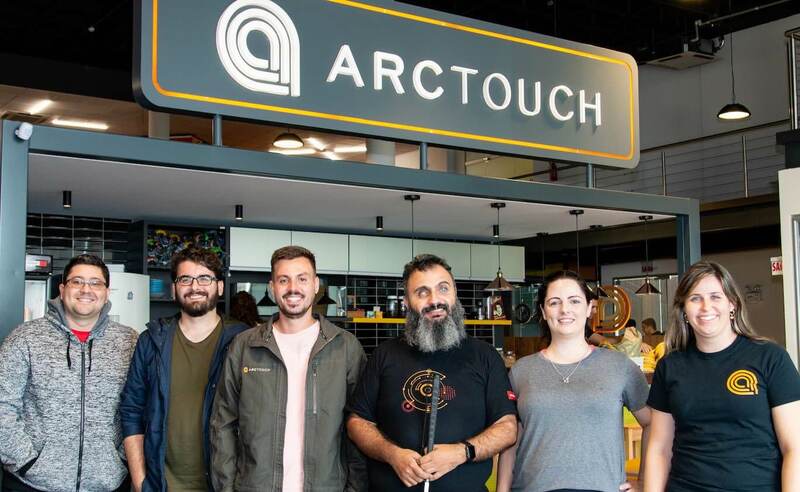 ArcTouch 2019 TDC Speakers: (left to right) Ramon Ribeiro Rabello, Bruce Cantarim, Rafael Turino, Alexandre Costa, Paula Rosa, Laura Carvalho (not shown: Edgar Tamio Hirama). In 2018, Google launched Android Jetpack, a collection of libraries and guides to create apps in a much more productive and modern way. In the same year, Kotlin Coroutines became stable. In this talk, you learn how to create modern apps with the maximum power of Jetpack and Coroutines using various libraries like AndroidX, Architecture Components, Navigation, FragmentScenario and much more! Privacy in blockchain is a tricky topic. In this discussion, we’ll cover the technologies and techniques related to it, and how they can be applied to guarantee transaction privacy in a blockchain network. Some of these techniques include zero-knowledge proof, multiparty computation, and creating a trusted execution environment. Creating a serverless application with CQRS, Azure Functions, Blob Storage and Cosmos DB. Serverless architecture is an architecture for small applications that is extremely fast and scalable, and it can save businesses costs. In this lecture, you’ll learn best practices and how to use Microsoft Azure to build an ideal application. How can developers implement complex animations without suffering? Lottie can help. Developed by Airbnb and available for iOS and Android, Lottie allows us to import animations created in After Effects and render them natively. Designers can design freely, and developers can implement beautiful animations without code. Come see a step-by-step Lottie demonstration. RxJava will be with us for a long time to come. But RxJava can be hard to understand. Although it has a big learning curve, don’t panic — you’ll learn how it works in simple terms. And even if you’re not a RxJava expert, this session will help you understand how it works behind the scenes. How would a visually impaired person use your app? How can you adapt an application to make it accessible? It’s time to understand how, with a few simple adjustments, you can make an app accessible, even if it doesn’t offer any accessibility yet. Developers really don’t like to touch legacy code. In this talk, you’ll learn how you to take advantage of technics and productivity tools included in Visual Studio so your legacy code starts bringing joy again. Seeing A.I. is an app developed by Microsoft that lets you see the world around you. It uses Azure Cognitive Services to recognize people, text, money and a lot of other great features that help visually impaired people improve their lives. Let’s see how can we implement it. Black Women: Why is there a lack of references in IT? Who are our black references in the world? How about when it comes to the work environment? And what about in the IT World? How are black women represented when it comes to company communication, marketing and also technology? Inclusion of women in software development market: How can we help? What are the existing tech events focused on women developers? As colleagues, what can we do to help in their inclusion? And what can companies do to create a nurturing environment? In case you missed it, check out these great presentations by ArcTouch team members at TDC in prior years.